Very vibrant and colorful! Blue ukulele, (electric option is on wood color ukulele) rainbow galaxy hand painted on the front with a black mandala. 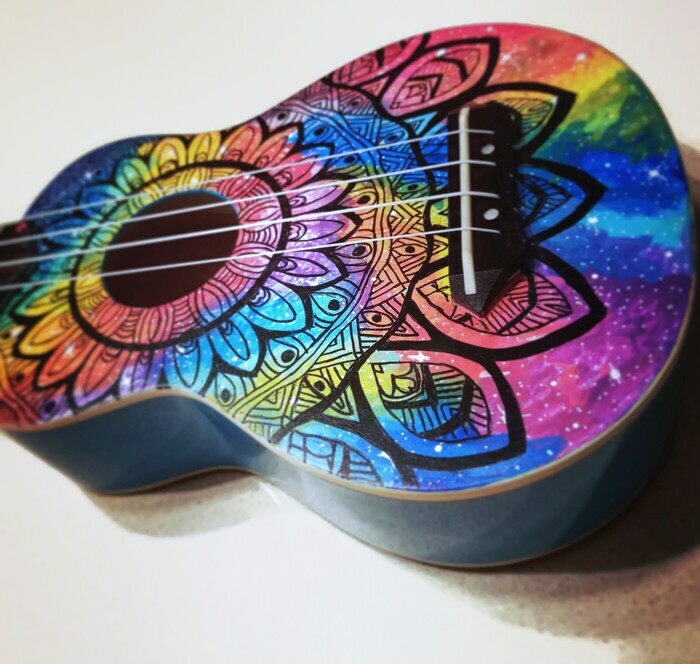 This ukulele is made to order and each one is unique in its own way. 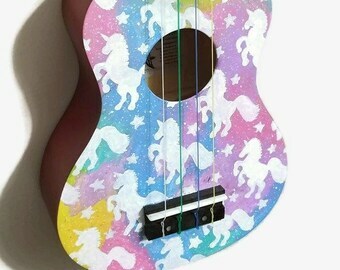 The electric/acoustic option will be on a wood color ukulele. Ukulele shown is for design reference. Brand may differ depending on availability. Took a little longer to get then I would have liked but my kid loved it.